Dr Trevor Davies (t.c.davies@reading.ac.uk) is a Fellow of the University of Reading, and previously Director of the International Centre for Studies in Education and Training at the Institute of Education, University of Reading, UK. His work at the University of Reading has included over time running training programmes for teachers of science and technology, leading and partnering a wide range of international projects on behalf of the European Commission including Tempus, Grundtvig, Comenius, Erasmus and Erasmus Mundus. He has worked with the Kazakhstan government and developed a new Masters Programme on Global Futures for Education. His research work including supervising postgraduate students features creativity, technology education, educational leadership, global citizenship and education for sustainability. 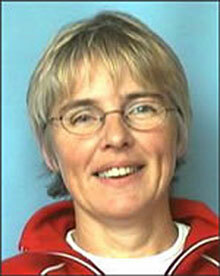 Dr Fran Martin (Fran.Martin@exeter.ac.uk) began her career as a primary school teacher 1980-1993. She then secured her first post in Higher Education, working on the preparation of primary teachers and specialising in primary geography and environmental education. She has a long-standing interest in global education and, between 2002-2005 co-led study visit courses for experienced teachers to West Africa. Since taking up post in the University of Exeter, 2006, she has researched global educational partnerships and intercultural learning. Between October 2009 and January 2013 she was principal investigator for a research council funded project on Global Partnerships as Sites for Mutual Learning: teachers’ professional development through study visits. Mags Liddy (Mags.Liddy@ul.ie) is currently finalising her PhD thesis at the University of Limerick, Ireland exploring the capacity of an overseas volunteering as a professional development experience for teachers, examining its impact on their professional lives and identity. Formerly she was Research Associate with the Ubuntu Network, a teacher education research project based at the University of Limerick from 2006 to 2010. Professor Javier Calvo de Mora (jcalvode@ugr.es) is a Professor of School Organization in the Department of Didactic and School Organization, University of Granada. His main research interests lie in policy institutional collaboration and leadership studies, though he is currently coordinator of European network on research of Citizenship Education. He is author of a number of books and papers which explore how to create a continuity learning process between schools and its context, and editor of books about citizenship culture applied to social relations through school structure. Dr Henrik Åström Elmersjö (henrik.astrom.elmersjo@umu.se) is a postdoctoral fellow in history and education at the Department of Historical, Philosophical and Religious Studies, Umeå University, Sweden. His research is focused on both didactical issues, mainly the negotiation of historical culture within education, as well as on the history of education, especially the renegotiation of school subjects as a consequence of perceived new cultural needs for education. He is a former upper secondary school teacher in history, international relations, and geography, and he earned his doctorate at Umeå University in 2013. He is also on the editorial team for the peer-reviewed international journal Nordic Journal of Educational History. Professor Monika Vinterek (mvn@du.se) is Head of Research of Education & Learning, one of six research profiles at Dalarna University, Sweden. She is a former teacher of History and Social Science in Swedish compulsory school and has been involved in teacher education since 1994. Her main research interests are general didactics with a focus on pedagogical leadership and learning environment, as well as history didactics. Professor Vinterek has served as an expert adviser on education for the “Swedish School Inspection”. She has been involved in several national and international research projects, including a collaboration with Associate Professor Ruth Reynolds (Learning to be Global Citizens). Professor Vinterek has also supervised and continues to supervise several postgraduate students in the area of GERT’s interest.